Kindergartens South is a place where kids can be kids. Tamariki and whanau are at the heart of every kindergarten. We focus on the formation of supportive and respectful relationships with each family. We love playing in nature. Our environments are fun places where we explore, discover and learn together. Kindergarten is a place where kids can be kids. Our kindergartens are part of the community and the children/tamariki are involved in their community through excursions, visitors and special events. Parents and whanau are at the heart of every kindergarten and we aim to create supportive and respectful relationships with every family. We encourage families/whanau to stay or visit at any time to see what their children are up to and participate in our programmes as they wish. At kindergarten we employ only 100% qualified and registered teachers. This means that every one of our teachers will have either a Bachelor of Education in Early Childhood Education, Diploma of Teaching (Early Childhood Education) or equivalent as a minimum qualification. We also ensure that our teachers keep up to date with the latest educational research and trends through participation in high quality local, national and international seminars, workshops and conferences. We ensure that our teachers keep up to date with the latest educational research and trends. Our outdoor play areas are spacious, attractive and well-resourced. We have a strong emphasis on being in nature and have our own section of land with native bush at Myross Bush where children/tamariki from all kindergartens are able to explore and learn about the natural environment. See Our Place for Discovering Nature – Taiao Tuhura to learn more about this. We offer a variety of hours and times to suit the needs of the community. Our Kindergartens operate Kindergarten Day models which offer extended sessions up to a maximum of six hours per day.Within the six hour day there are options for morning or afternoon sessions. Session times vary by kindergarten, to check your local kindergarten’s hours, see the Kindergartens section. We also have one facility which offers full day education and care for children aged two to five years. The Cottage Kindergarten in Invercargill is open for 46 weeks of the year, and only closes for a week in two of the term breaks, public holidays and over the Christmas period. Our fee is $4.00 per hour. Under current government policy all New Zealand children aged three to four years old are eligible for 20 hours of free early childhood education. 20 hours free is available at all our kindergartens and if you bring your 20 hours to kindergarten you will not be charged a fee. Children under the age of three are also free at Kindergarten if you plan to use your 20 hours entitlement at the Kindergarten once your child turns three. 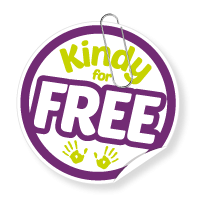 We have launched an initiative called Kindy for Free, designed to help families get the most out of kindergarten. Under this scheme children who use their 20 hours free at a Kindergartens South facility will also receive any additional hours they attend free of charge. All of our kindergarten locations except The Cottage offer Kindy for Free. We recommend enrolling your child at your local Kindergarten when they are two years old. Our system for enrolment operates through a waiting list, so entry age is dependent on the number of children on the waiting list for your location. If you would like to find out more please contact your local kindergarten, our friendly teachers will be happy to help you. The Southland Free Kindergarten Association is a licensed early childhood education provider, with 23 Kindergartens throughout Southland. We receive bulk funding from the Ministry of Education. We are a non-profit organisation and are governed by an elected Board of Governors. board policy and to administer the association and its Kindergartens. Our board consists of eight elected members as well as ex officio positions of Executive Officer, General Manager and Senior Teachers. Board meetings are held on the third Wednesday of each month. All members are required to attend meetings on a regular basis, read mail and be well prepared for all meetings. Join our Board of Governors and help make a difference to early childhood education in Southland. Join our Board of Governors and help make a difference. If you believe in the vital contribution made by quality early childhood education and would like to contribute to your community while working with a highly motivated team please contact us about joining our Board of Governors.